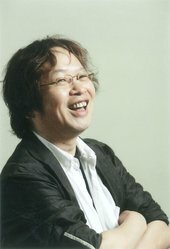 Katsuyuki Sumizawa is an anime screenwriter and novelist with an extensive suite of work. He has worked on various famous shows including Mobile Suit Gundam Wing, Mobile Suit Gundam: The Origin, Dragonball Z, Sailor Moon, Yu Yu Hakusho, Macross 7, Inuyasha, and Naruto. He also penned the novel Mobile Suit Gundam Wing Frozen Teardrop.